Tech-Wonders.com » Software » Make More Software With Less Stress: Didn’t We Do This Before? Microservices is a hot topic of discussion that is on everyone’s lips. From Chris Hart of Ramses.tech to Mark Russinovich of Microsoft Azure. Almost everyone in the tech world seems to know something or two about microservices. The reason why microservice architecture is trending in the tech world is because it allows companies to build applications that are very fast, scalable, and available. But what exactly are microservices? The main idea behind microservices is that it is easy to build some applications when they are broken into smaller elements that work together. Let’s start with what are microservices. Microservices refers to an architectural style that allows an application to be structured as separate services. When applications are built as separate service components, they are much easier to test, understand and maintain. The benefit of this is that it enables companies to have higher agility. Other benefits include high scalability i.e. small service components can be scaled such that it meets increased demands of that separate component. And improved resilience and isolation i.e. when a single component is dead, you can come with a new one while the whole application continues to function normally. If you have heard about the term monolith, you might be wondering how is it different from microservice. Well, the difference is that a monolithic application combines all elements into one process before replicating it on many servers. On the other hand, a microservice architecture puts separate elements into different service before distributing it across servers. In recent years, big companies such as Amazon, Google, and Netflix have moved away from a monolith architecture. Microservice architecture is a new way that has helped these tech companies build applications that are complex and large. It is not just a monolith architecture that people are comparing and contrasting with microservices architecture. Today, there is a lot of debate about the similarity and difference between a microservice architecture and SOA. Service Oriented Architecture or SOA refers to a software architecture where separate application component offers service to different components through a communication network. It is true that both microservices and SOA have a lot of similarities. But there are vital differences between the two architecture types that makes them distinct from each other. The first difference is that microservice architecture concentrates on decoupling while SOA maximizes on service reusability of the application. 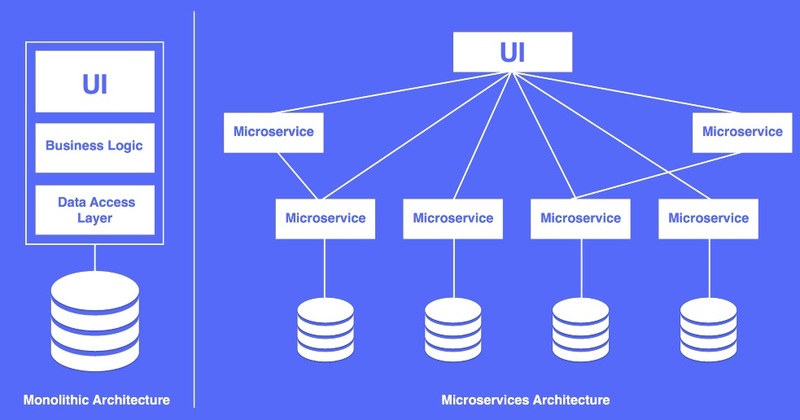 The second difference is that in microservices, it is possible for services to operate separately and independent of other services unlike in Service Oriented Architecture. Another difference is that SOA relies on ESB (Enterprise Service Bus) for communication while microservice components use simple message format for communication. While it is true that a microservice architecture can allow you to make more software with less stress, this type of architecture has its own flaws. That is why all organizations using the microservice architecture must address these issues first. According to one Kasun Indrasiri, microservices should adopt the Single Responsibility Principle. That is, each microservice should handle a focused and limited business operation, which has a simple messaging format. As a result, you will not end up creating monoliths. Thus, you can say that a microservice is simply a Service Oriented Architecture that is done properly.